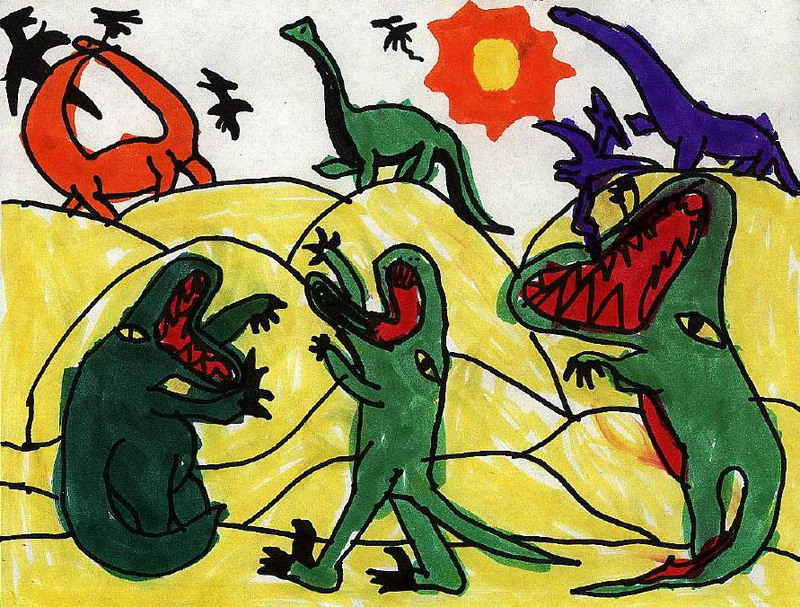 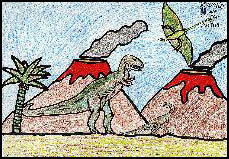 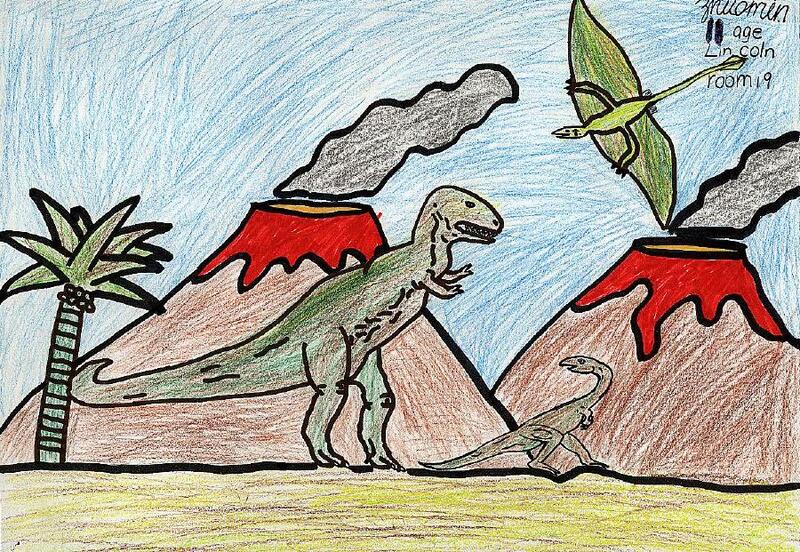 An important part of UCMP's T. rex Expo was the Drawings and Stories Contest for children in grades K5. 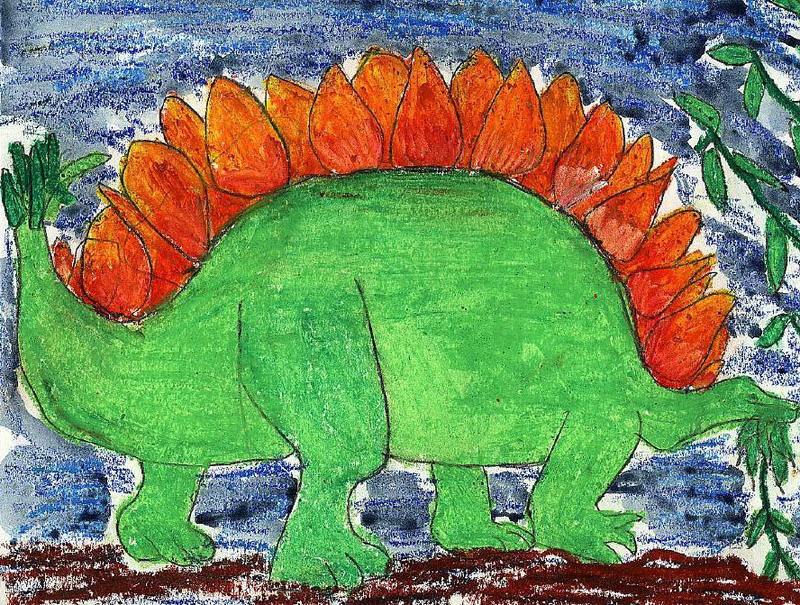 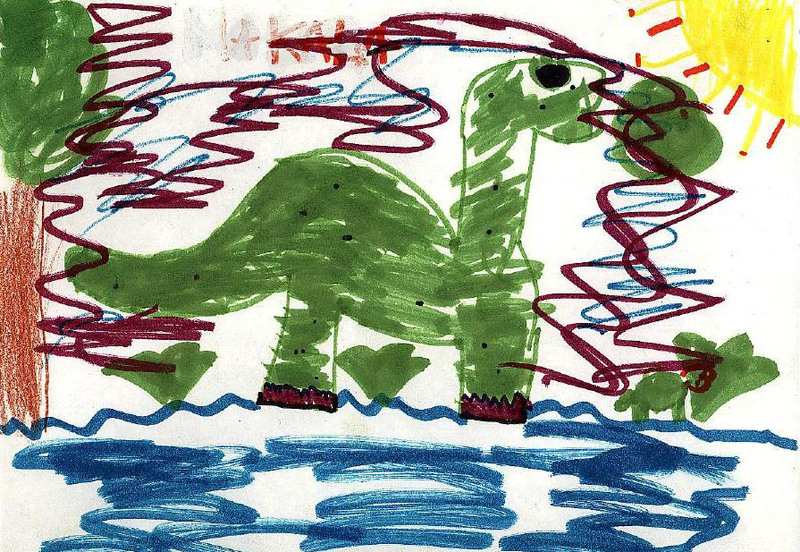 Children from schools in the Berkeley area were asked to "Draw a Diplodocus" or "Tell a Tale of T. rex." 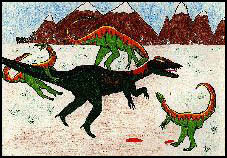 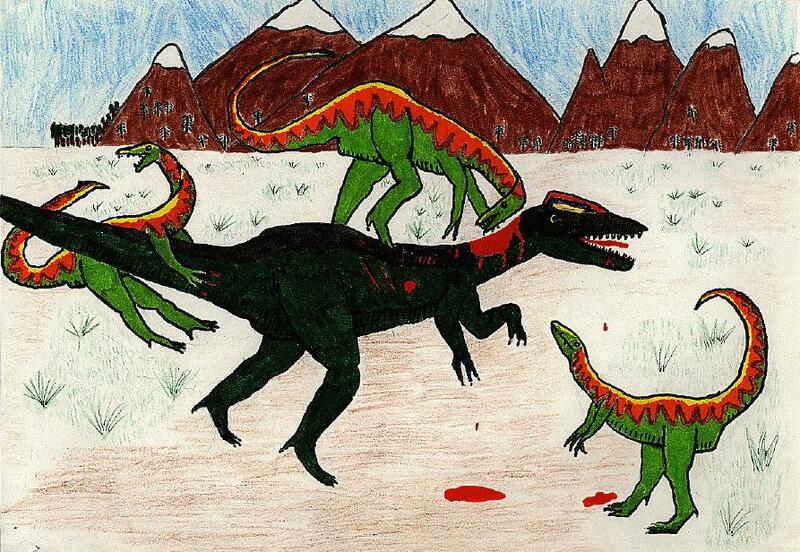 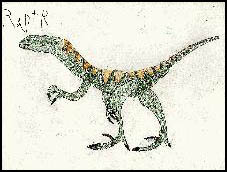 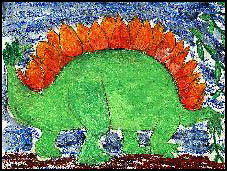 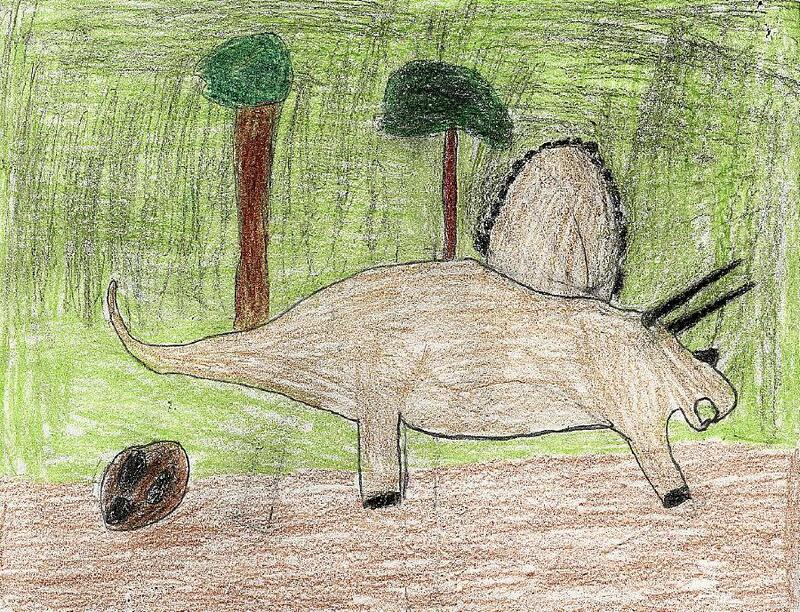 We received numerous excellent drawings of a wide variety of dinosaurs and other prehistoric critters. 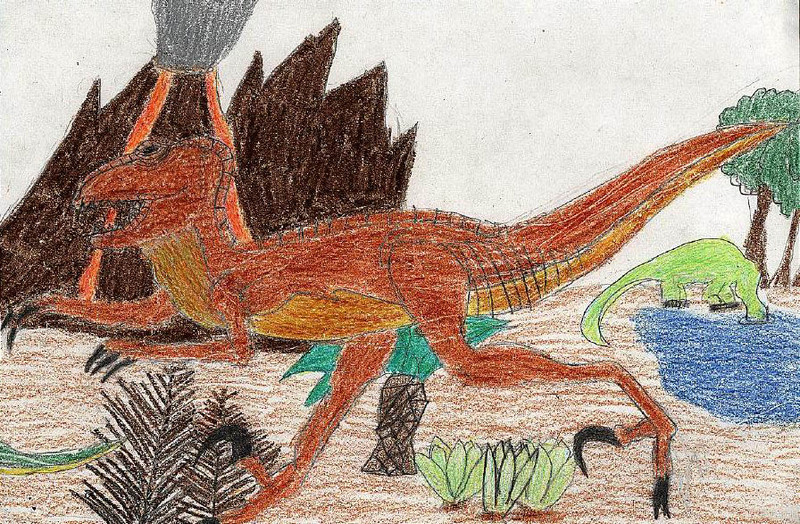 We can't exhibit every one of them, but here are some of the prize-winning drawings from our contest. 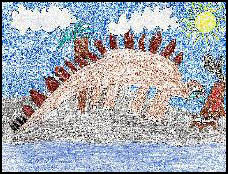 Click on any of the smaller pictures to see a larger version. Even with JPEG compression, some of these files are about 300K, and may take a few moments to download. 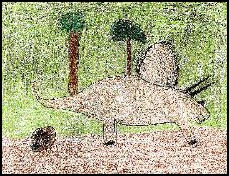 "Coelophysis attacking one of the first carnivorous theropods (yet to be discovered) during the Triassic period"